These cars come fully assembled and ready to run with pre-painted body shells and fitted stickers, so make a fantastic gift. Do not worry if you break anything, each part is fully replaceable and readily available, we stock all the replacement parts. 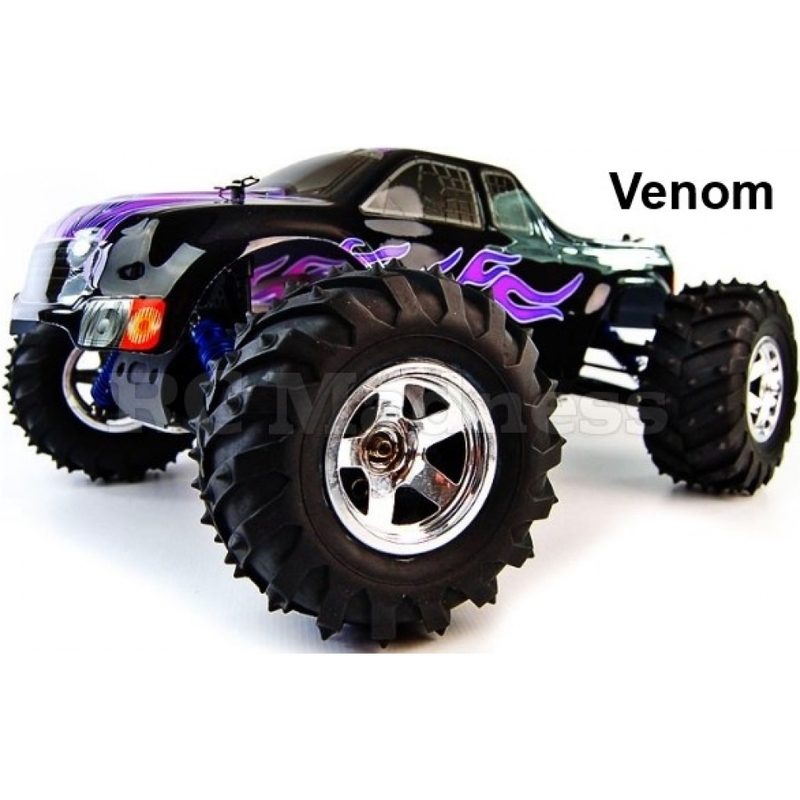 These fantastic high performance vehicles have ultra rigid duel layer alloy chassis and high performance shock absorbers with oil damping ensuring maximum stability, grip and strength for high speed racing and huge jumps. Now comes with a high quality .18 SH engine. 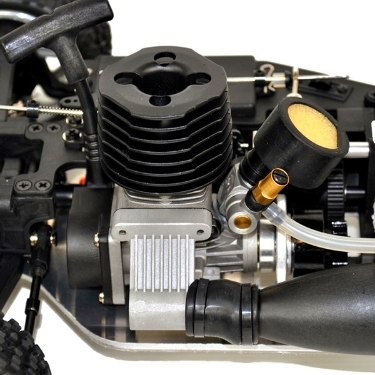 SH engines are made in Taiwan and feature a simplified carb that makes them the easiest to start and most reliable engines on the market. 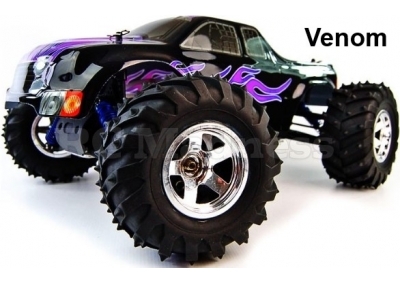 It also has strengthened shock towers and suspension arms making this buggy fantastically strong and durable. With its strong alloy chassis, shaft driven 4WD system, steel clutch bell and sealed radio compartments it will tackle off road tracks as well as any other model. 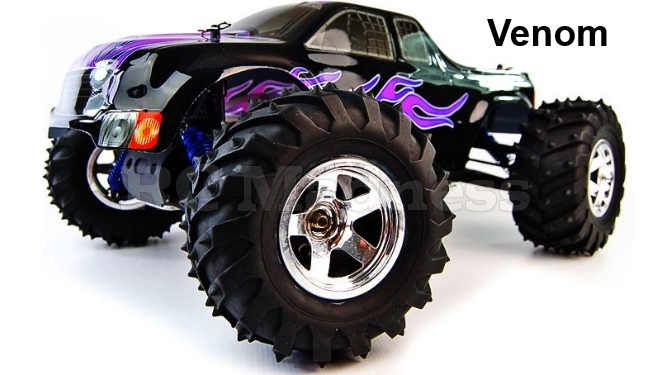 With its long extra tough anodized aluminum alloy shock absorbers, bigger engine and stronger chassis the model has been carefully designed to tackle any off road challenge. It features a sealed radio and battery compartment to keep the dirt out and big chunky wheels for extra grip and ground clearance. 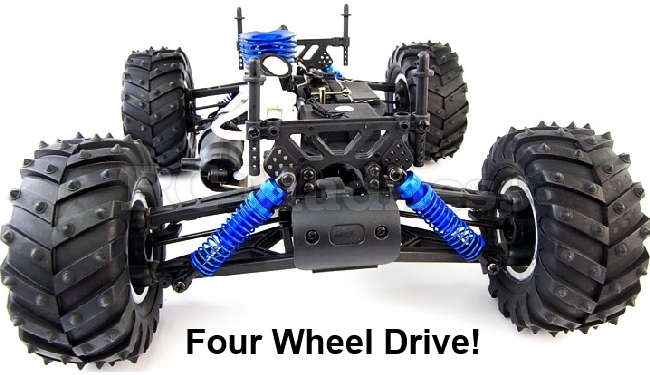 The shaft driven 4WD system ensures that you wont be getting left stuck in the mud! 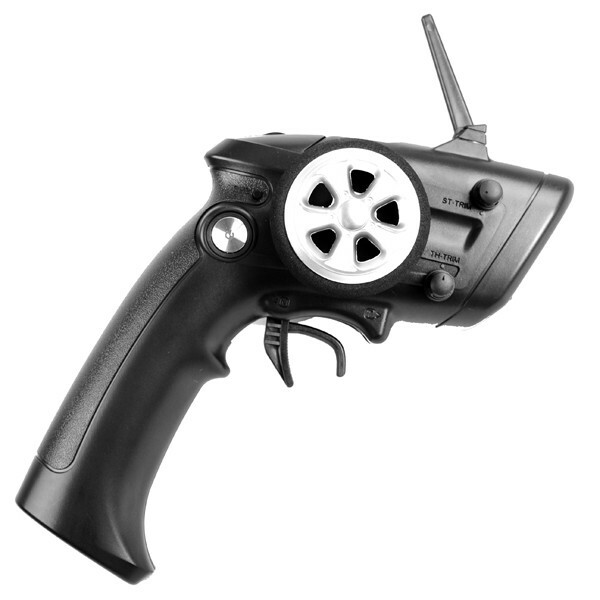 High quality easy to use pistol-grip transmitter gives ultra responsive control and extended range (up to 1000 Meters). So what are you waiting for! 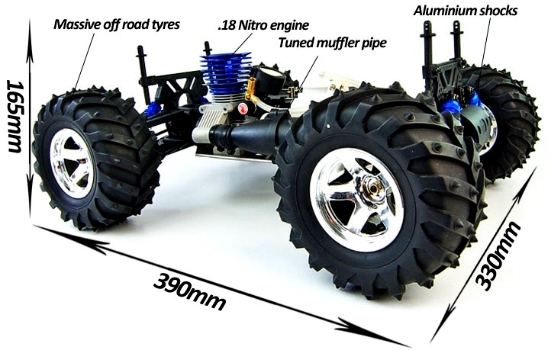 just add nitro fuel and a glow starter kit and prepare for some serious off-road racing fun. 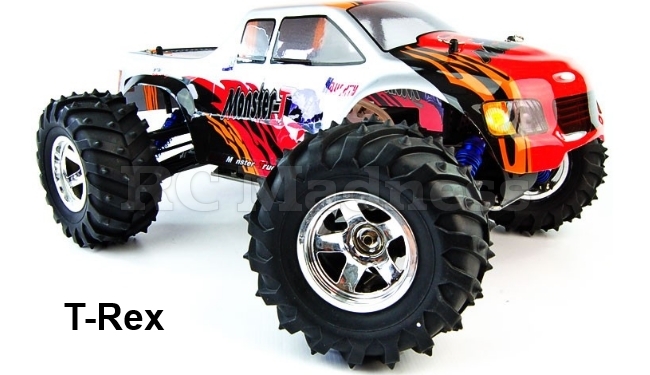 Acme Conquistador 4x4 Professional Nitro Monster Truck.